Volvo will launch a diesel-electric plug-in hybrid V60 next year. Volvo will unveil a plug-in diesel-electric hybrid version of its V60 station wagon at the Geneva auto show in March. Volvo said the Geneva model will be a "virtually production-ready" car with CO2 emissions of 49 grams per kilometer, which translates into fuel consumption of 1.9 liters per 100km (124 U.S mpg, 149 UK mpg). The front wheels of the V60 hybrid will be driven by a 215-hp, 2.4-liter five-cylinder turbodiesel engine. Mounted on the rear axle is a 70-hp electric motor, which receives power from a 12 kWh lithium-ion battery pack. The car has a six-speed automatic transmission. 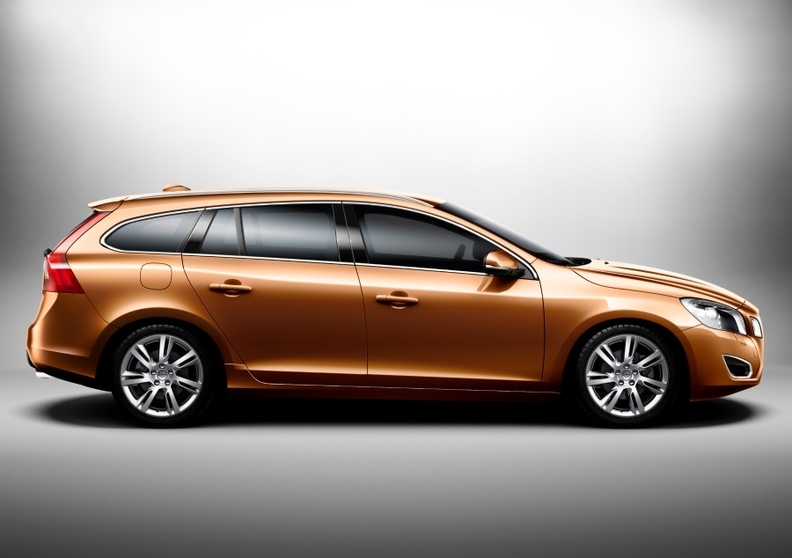 The V60 hybrid can be driven up to 50km (31 miles) powered only by electricity, Volvo said. A production version will launch in 2012. Volvo CEO Stefan Jacoby, said in a statement: "The V60 Plug-in Hybrid has all the traditional properties of a genuine sports wagon. What we've done is to spice it up with spearhead technology." Volvo cooperated with Swedish energy supplier Vattenfall to develop the car.